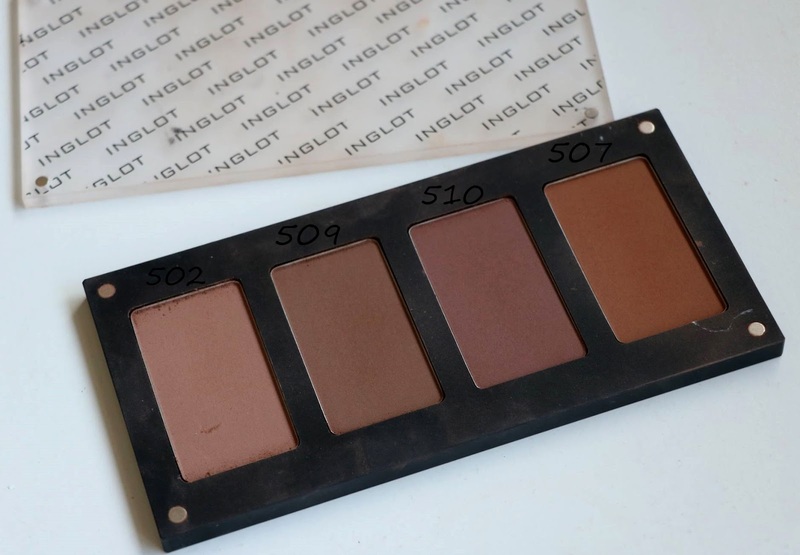 MakeupMadness107ByElina: Anastasia Beverly Hills Vs Inglot Contor kit. I ordered it of Beauty Bay and it retails for €47.60. Individual pan carries 3g. and you can get the Refills on Cult Beauty for £14.00. When I got the Kit I was so disappointed on how small it was for the price but since this is over hyped I still had hopes in terms of pigmentation and actual quality of product, but it failed again, the pigmentation on these are well Crap the lighter shades are fine but the contour shades you have to use loads to even be able get proper color on your face and the actual quality int life changing either it is just and oky'ish quality. So I wasn't using it for myself and i started carrying it around in my kit so far the only kinda of use i have found is it to use in really fair skin people but even then you do have to do your brush in to the product multiple times. Reason why is this so popular is only because of the brand name and a lot of people who are being payed or sent this for free,because this is definitely not worth the money. 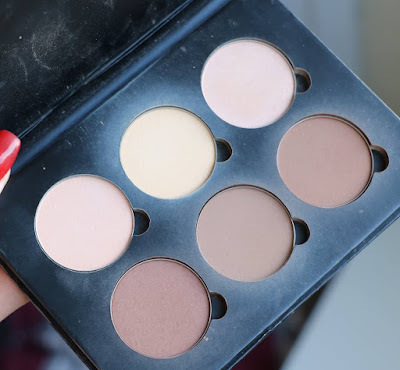 That being said this may be oky for someone who just stared makeup and doesn't understand or own even 1 bronzer from that point yes you may think that this is great. This is an Inglot Freedom system Hd contour powder pallet I made for myself as the ABH was a fail I needed something compact to carry around for people with medium+ skin. For this I payed €52 and I had the option to choose exactly the shades I needed and it was only €4.40more than ABH. There are 12 shades to choose from including the banana shade//lighter and darker shades to suit everyones skin color. 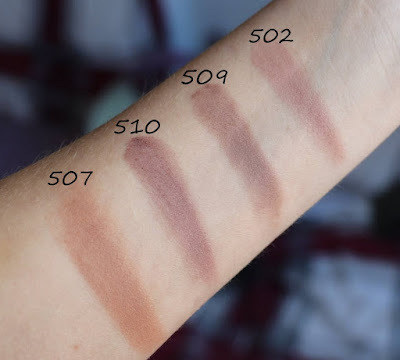 The Difference is The Inlgot HD powders are way more pigmented, better quality and you don't have to waste product by keeping to dig in the brush and getting color out of the product, and it looks better on the skin. I am so so happy I tried these. If there would have been more people who actually reviewed the ABH contour kit honestly I wouldn't have wasted my money on a bad product. 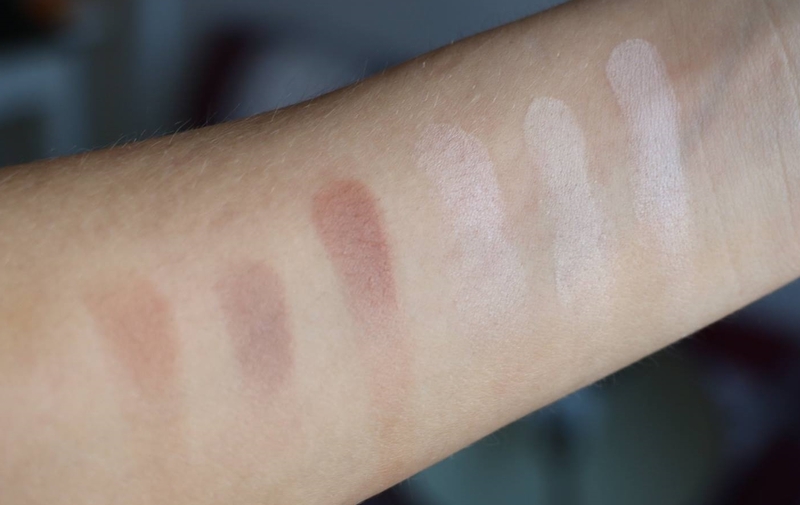 These are swatches from ABH only from swiping my finger in the product once and dragging on my skin as you can see the lighter shades are better but the darker ones are just ridiculous and if you use a brush there will be even less pigment attached to the brush and transferred to the skin. These are swatches done same way from the Inglot Hd contour powders and you can see it for yourself the difference of the quality as these are really pigmented. I know its tempting to try products that are over hyped but don't waste your money on the ABH contour kits as they end up more expensive and the quality is bad.